United Parcel Service (UPS), an international household name with more than 100 years of service in logistics, supply chain management, and e-commerce, shares its franchise with a pioneer in Philippines logistics, Delbros. Through its subsidiaries, UPS-Delbros offers services for time-definite delivery of packages and documents, freight forwarding, customs brokerage, fulfillment, returns, financial transactions, and even repairs. It is also a leading provider of less-than-truckload transportation services. In terms of revenue and volume, UPS is the world’s largest package delivery company and a recognized global leader in supply chain solutions. UPS delivers packages for 1.8 Million shipping customers to 6.1 Million consignees in over 200 countries and territories each day. As a part of the regional strategy and to show support for the rehabilitation of the Pampanga region of the NCR (devastated by the 1991 Pinatubo Explosion), the ASIAN HUB was opened in CLARK, PHILIPPINES in 2003, with an initial investment of over $150,000,000. This rapidly ballooned to over $300,000,000 in the succeeding years as additional services were developed. Taken from a September 09, 2012 article for the Business Mirror: “Residents of Mabalacat town…would climb up to the roof of their houses to watch the huge planes landing and taking off…they stopped seeing planes landing at Clark after the US Air Force left 10 years ago… it was the start of the commercial operations at the CIA.” -Victor Jose Luciano (President and CEO of the Clark International Airport Corp.). Currently, CIA is now one of the busiest airports in the Philippines, with Pampanga recovered and flourishing. UPS-Delbros and the subsidiaries of UPS International, operate from multiple facilities across the National Capital Region and Cebu, managing aircraft and delivery operations, regional call centers, accounting services, and public bonded warehouses. With revenues in the billions (PhP), and the constant improvement and expansion of services, UPS Delbros has a bright future in the Philippines and only continues to strengthen its position in the local and regional market. 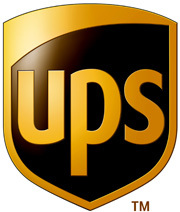 To visit the main UPS site click here.